Tempting us with an Apple – One way Apple are targeting the Android user. Is the Apple attempt to coax Android users to the iphone/pad a bit cheeky? Using their Move to iOS for Android app, makes this now possible. The reasonable man would say Apple are just giving new or potential Apple customers an easier way to change from Android to Apple? The unreasonable man would say encroachment on the competition smacks of desperation. Whatever the answer, it is not the only Apple made App that will be accessing their main competitors operating system as next year they plan to launch Apple music on Android. But rest assured mobile games fans Fierce Fun will provide the best range in mobile entertainment on the widest range of OSes. The Move to iOS9 is a free download available on the Google Play store, and it makes it easier for people who want to change device to bring their data with them. You will need both an Android and iOS device to complete the switch process. The Move to iOS App will allow the existing Android user move all their precious files to the iOS ecosystem. This will include files containing your photos, your calendar, your message files, your contacts and even your email accounts. So how does it work in practice? Your new Iphone or Ipad device will need to set up a secure Wi-Fi network when prompted by the App you can then go on to download all that precious, never to be found again data that for some reason you have been carting around on your phone for years. Yes I do that too. So all this begs the question, why would one want to switch to Apple? Or why Apple feel they must smooth out the switching process with this new App. Just to let you know, here at Fierce Fun we ensure our mobile games run beautifully on both OSes. But in reality, the smartphone market has been regenerating itself frantically with upgrade after upgrade all through 2014 and 2015. Android devices like the Samsung Galaxy S6 Edge, Samsung Galaxy Note 5, HTC One M9 and LG G4 are state of the art hardware and represent each of the named company’s flagship smartphone. Apple in response have given us the its new iPhone 6S and S6 Plus and a new ecosystem i0S9. All do what they say on the tin, all perform little miracles for us every day that would have seemed like science fiction to us 20 or even 10 years ago. So apart from sales figures the question seems to be what smartphone pushes your buttons and not as I had previously thought, who makes the better smartphone? What Smartphone pushes your buttons? I have my own sentimental preference for Nokia, a Scandinavian toilet and kitchen roll maker turned tech world leader, just that alone, will always get my vote. I heard on the Grapevine that Nokia were flirting with Android systems some time ago and liked it, but since the Microsoft corporation got wind of this treachery, that little dalliance became history. Which is a pity because as I said Nokia will always have a special place in my top pocket. Blackberry also should be given our respect for holding out in the face of insurmountable odds, that is, the obvious popularity of touchscreen technology, almost the the brink of bankruptcy. A friend in Capetown informed me, they were still moving Blackberrys in healthy numbers in South Africa until 2013, but even there, now in 2015, the touch screen has all but leveled that field. They had it all once, however they gave away their advantage, but I am glad to hear that they may have embraced Android in tandem with developing some new technology for themselves, as to go it alone can becoming very lonely. Okay the above title is an unfortunate and bloody saying but proof of the pudding, another awful phrase is that two great tech companies fire at the same target, you and me, the customer, but come up with completely different creatures essentially doing the same thing. I speak of course of Samsung and Apple. 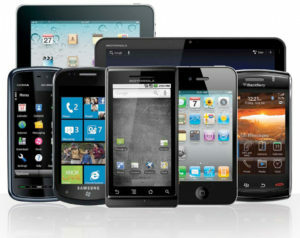 What Apple Iphone and Samsung Android phones have shown us is that “there is more than one way to skin a cat”.Both have flagship phones that are exceptional and I could not favour one above the other. My only buying decision would be price and here Samsung win over Apple nine times out of ten. I use a Samsung Galaxy, my partner uses an Apple Iphone, I like both, and would not care if I changed, she only likes her Iphone, she is in love with her Iphone, and would never change, even if she received a free Android. This is cultism which is an intrinsic part of the Apple brand and is to be commended but also ridiculed at every turn. I would not find it hard to switch from one to the other and have done so in the past, dumping an early Apple PC for a far better and cheaper Dell version. It is easy if you do not buy into the cult of Apple, after all they are not the Kardashians. The devil seems to be in the detail, the small differences of functionality that may appear on the OS of your phone and not the other. But both OSes have phenomenal capability and this is a indication of how far technologically the smartphone has evolved. Our personal preferences may impact on the phone we choose, maybe because of the interplay with the phone, how it feels in the hand and where certain buttons are positioned. But also our personal preference for which company we would like to entrust our information. This will increasingly play a part in our choice. Apple and Google seem to be two heads of the one beast but they do have different agendas and see the world through different lenses. This is something to consider when choosing your hardware and software products in phones PC or cloud services. You must ask yourself with whom do I trust with my digital existence? To help game development students and other devs, we have provided some of the games development documentation, templates and processes we used when making Java mobile games. Most of the documentation is general and could be applied to any project. Though some are a number of years old, the same game design principles should apply. Hope some of them provide useful – if so, please share them. 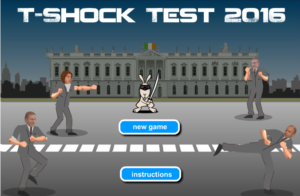 Like the gladiators in ancient Rome, the plebiscite ( that’s us, the plebs, by the way ) of today’s Ireland can now witness our great and not so great ‘wannabe’ leaders prove their prowess in the field of combat in the excellent Fierce Fun mobile free to play game T-Shock Test. As Gladiators are from Rome it might be better to compare our Irish political combatants to the great warriors from Ireland’s own captivating myths and legends. In all human cultures there is a mythology of heroes and villains, wise folk and fools, greedy and good. From the Viking Sagas to the Folklore of the Far East, all connect in a way that is unique to the human fireside storytelling tradition. Vladimir Propp in his seminal book Morphology of the Folktale pointed out the similarities and common traits in folk memory stories from all over the world. Irish myths share a common bond with all others. In Ireland Taoiseach means chieftain or leader, the Gaelic word dates back as far as the language can be traced. In many other countries around the world, aspirant leaders like to dress themselves in the flag and look to the future, in Ireland, our lot, like to dress themselves in a kilt and look to the past. They seek to invoke the spirits of our mythological heroes to assist in their quest for glory. So let’s take our hopeful leaders and put them centre stage in one of the most famous of Ireland’s mythological tales The Tain. A tale from fado fado, (long ago) of heroes, villains, greed, hubris, friendship and betrayal. I like to call it the battle for the cattle as it sets Irishman against Irishman in the pursuit of the great Brown Bull. Sounds perfect let’s assemble our cast of players from T-Shock challenge. Queen Medb, Cú Chulainn, Fergus mac Róich and Goll mac Morna all provide great examples of celtic leadership and wisdom. But which of the current ‘wannabe’ leaders should we allow associate with these legends? Feel free to let your imagination run wild, I did. I like to imagine, a cross dressing Enda, as the fetching Queen Maeve, they both have great bone structure, don’t they? What about Gerry as Cu Chulainn, now let’s be honest, he does look a little like an Irish Wolfhound and he is the consummate Ulsterman in the cast of characters. Joan can be Fergus, we don’t stand for gender quotas here. I just think she has the hair for it,and I am sure she could grow a full mustache if push comes to shove. And Michael can be Goll, nobody knows what Goll looked like, so we will imagine him as a bald christian brother teacher type, much like, you know who? Enda Kenny as Queen Maeve – Both like to talk a lot of bull. Both have lands in the Connacht. Both want to steal the Brown Bull of Cooley or is that a Red Bull from Clooney, I can’t recall exactly. Anyway suffice to say with Mayo men at their beckon call, they ravish the country while making the population fall asleep (with lengthy mono tone speeches and rubbing of hands ). They manage to set the country into a state of bullish anarchy with the haves fighting the have nots and the medieval money men ( bankers and the bondholder ) getting rich on the side lines. Sadly it sounds familiar. Enter Gerry our hound of Ulster. Now CuChulainn had a major role in The Tain and has been known to talk some bull himself. Primarily he is famous as a warrior, now the old fighter needs a rest and here he is looking for the Taoiseach’s pension, what better rest can you get? Just like the our Danish friends say – IF Carlsberg made pensions, they would make it a Taoiseachs pension. So CuChulainn has a lot to fight for, and as some folk like to say in the North good luck with that. Joan aka Fergus also features in this great battle pointedly for her / his backing down and making a deal to save his position. Thats sounds familiar as well. Fergus is a deal maker in the original story and likes to avoid a fight, so is Joan, funnily enough. Fergus also stands by idly and lets CuChulainn slay his good friend and ally Ferdia in the name of peace. For shame Fergus. I am sorry to say for Michael, that his character, Goll Mc Morna is not in actual fact, featured in the Tain but we have to use poetic licence here as there simply is not a suitable character for you to play. So I picked out Goll, who I think suits Michael perfectly. He is not universally liked, although he is a member of the Fianna (Fail) and a friend of its leader Fionn Mc Cool despite the fact that he did kill Fionn’s Dad. But worse still, Goll then went on to betray his gang the Fianna and in turn the whole country for greed and power, and lead the them into disaster. Also sound all too familiar. So there we have it, the potential leaders and their inspirational mythological mascots, but do they have what it takes to beat the bondholders, eradicate the euro bankers, and dodge the TD-Rex ? You decide as you take them into the combat arena. Take your favourite politician out for a bit of physical endurance with the T- Shock Test. It is the only game in town where you the voter get to watch your politicians pummel or get pummelled. The Coordinator works with a game’s production staff to ensure the timely delivery of the highest quality product possible. They are the key link between the digital marketing and production team. Note: this is a work experience position – training will be provided. Contact us via the About Us form. So here we have it. 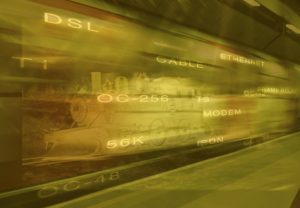 A list of the top performing Internet Service Provider (ISPs) in Ireland. This list was taken from Steam, the global online gaming portal developed by Valve. It has close to 100 million users and as it hosts online games, it gives a good indication of the performance of ISPs as regards heavy download usage. The table was compiled in September 2015 and shows the average download rates for Steam clients on the most popular Internet Service Providers, sorted by the number of bytes delivered to each network. As it is just for gaming, obviously it is not a true measure of overall performance. However it is a useful indicator of those providers that have some serious download pipes! WebGL (Web Graphics Library) is a cross-platform, royalty-free web standard for a low-level 2D/3D graphics API based on OpenGL ES 2.0, exposed through the HTML5 Canvas element as Document Object Model interfaces. It is supported by all the major browser vendors such as Apple (Safari), Google (Chrome), Mozilla (Firefox), Opera (Opera) and Microsoft (IE). As animation plug-ins such as Flash, Unity and Silverlight are not supported by default in many browsers, WebGL offers a cross platform solution for online and mobile animated graphics. Fierce Fun can produce WebGL animations optimised for all the major browsers. For more details, please contact us. 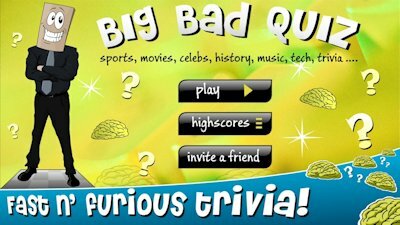 Big Bad Quiz is now in beta testing and will be published soon. The Big Bad Quiz is played like a real-life quiz show, with fast-paced rounds, bonus points, and of course, our much “loved” host: the Bag Man. He will break you down with tricky questions about sports, movies, history, and everything in between. The Big Bad Quiz is packed with plenty of tough questions that will come at you in a random assortment, meaning it’ll truly test your brain power. While playing, you will be asked questions on a mix of topics, so be ready for historical questions to mingle with questions about the latest musicians. Be warned though, you will have only a limited number of lives before the Bag Man busts you out of the game and forces you to start from scratch. Add to that the fact that you’ve only got a few seconds to answer, and you’ve got yourself a tough game. There will be no memorizing the answers either, since the questions are randomly selected each round, making the Big Bad Quiz endlessly re-playable. The Bag Man will be challenging you every step of the way, making sure that the questions get harder with every round, and not holding back with the insults when you get some questions wrong. If you beat the Bag Man, you’ll have the chance to get some serious bonus points to boost your score. Make sure to check out the leaderboards every day to see how you and your friends stack up!